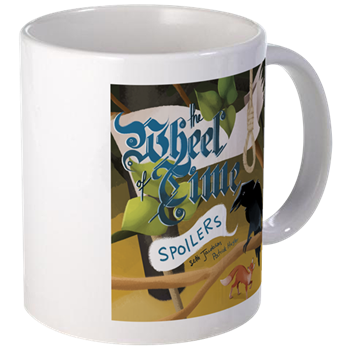 WoT Spoilers welcomes The White Tower Podcast one more time to join us in our ongoing conversation. Perrin uses the Wolf Dream for reconnaissance. He knows Slayer is out there somewhere, but still hasn't made the connection to Lord Luc. He spots a group of ravens flying toward the the mountains and follows them to the Waygate, which he finds has been unlocked. As it happens Slayer is there doing some scouting as well, and the two have a short exchange of words and arrows. Realizing that he is being lured into a deadly trap, Perrin simply steps out of the Dream but he cannot wake. He is still too heavily sedated. When he does finally wake, he finds a banner has been raised above the village green. A banner with a wolf's head emblazoned on it.